Why is reducing the amount of plastic bags important? 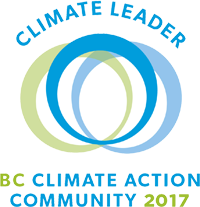 Town of Qualicum Beach residents use approximately 200 bags each every year, which would equate to 1.788 million plastic bags from town residents, alone . Plastic bags are made from a limited supply of non-renewable petroleum sources, which contribute to greenhouse gases, air quality issues, natural resource depletion, chemical, waste and litter accumulation. People may use them only once, yet they remain in the environment for more than a human lifetime, up to 500 years. Littered plastic bags are in the top 10 list of garbage found on the world’s beaches . To reduce the amount of waste before it enters our management systems will help Town staff reduce operating costs and/or increase levels of service to enhance the quality of life and experience for all residents and visitors. Ocean Conservancy (2015). International Coastal Cleanup. Annual Report. Why is the Town developing a new bylaw to reduce single-use checkout bags and plastic straws? The purpose of the Bylaw will be to restrict the provision of single-use plastic straws and checkout bags, in order to minimize the volume of plastic waste entering our landfill, our waste collection systems, and littering our community. This policy aims to reduce single-use plastic items that quickly become waste after only a few uses. 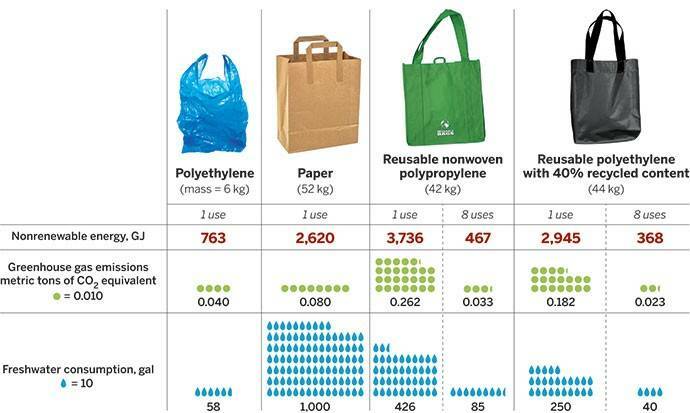 How do plastic bags compare to paper bags? Plastic bags may only be used for minutes, but they remain in the landfill for over 100 years. Modern landfills are covered, and do not promote conditions with enough oxygen and heat to break-down this garbage. When a plastic bag is littered, it becomes a visual nuisance, can block water flow in natural and man-made systems, or harm wildlife. A littered paper bag breaks down more quickly in water, and poses less risk to wildlife compared to a littered plastic bag. Paper bags also pose environmental impacts due to resource consumption (ie. trees!) and the chemical pulping process. Ideally, all paper bags would be made from post-consumer recycled products, and then recycled at the end of use. What about bio-degradable bags - aren't they sustainable? It is a common misconception that bio-based bags break down readily in the environment. If recycled, bio-based bags are often mixed with regular plastic bags and damage recycling equipment and processes. Additionally, many bio-based bags are designed to break-down when processed in industrial compost facilities (high temperature with controlled oxygen levels). Only with proper labeling, separation and materials, would bio-based plastic bags be a more sustainable option. What are the alternatives to plastic bags? After eight uses, not including washing, a reusable plastic bag has a lower environmental impact than a single disposable plastic bag. Numbers given are per 1,000 bags, except for single-use polyethylene, which is per 1,500 bags to account for their smaller carrying capacity. Under the terms of the proposed bylaw, will businesses be able to provide customers with single-use plastic bags and straws? No. As per the proposed bylaw, "Except as provided in this bylaw, no Retail Business or Food Service Business shall provide or sell a Plastic Bag to a customer. Except as provided in this bylaw, no Food Service Business shall provide or sell a Plastic Straw to a customer". The list of exemptions can be found in the bylaw listed at the top of this page. Will there be exemptions to this bylaw to allow some single-use plastic bags and straws? protect clothes after professional laundering or dry cleaning. Additionally, this bylaw does not apply to the sale of Plastic Bags intended for use at the customer’s home or business, provided that they are prepackaged and sold in packages of multiple bags, and does not apply to the sale of Plastic Straws intended for use in the customer’s home, provided they are sold in packages of multiple straws. How do you define "plastic bag"? “Plastic Bag” means any bag made with any amount of plastic, including biodegradable plastic, but does not include a Reusable Bag. A full list of definitions can be found in the bylaw, listed at the top of this page. How do you define "reusable bag"? “Reusable Bag” means a bag with handles that is designed and manufactured to have a minimum lifetime of 100 uses and is at least 2.25 mils (0.571 millimetres) thick, if made of plastic. A full list of definitions can be found in the bylaw, listed at the top of this page. How do you define "plastic straw"? “Plastic Straw” means a straw made primarily of plastic, including biodegradable plastic, but is not a Reusable Straw or a Compostable Straw. A full list of definitions can be found in the bylaw, listed at the top of this page. When is the bylaw going to take effect? Yes. Plastic bags for use in the home or business, such as garbage bin liners, sandwich bags, compost liners, etc., will not be included in this bylaw. The intent of the bylaw is to reduce the amount of plastic bags used for transporting goods from the store to the home. Education and awareness are the first steps when introducing a new program. An enforcement plan will be considered by Town staff. Can a customer be fined? No. The bylaw will regulate businesses that provide single-use plastic bags, not customers.